Tabuelan 226 2017 | JustRunLah! So you’ve completed a few dozen Olympic Distance Triathlon and a couple of 70.3 half-Ironman distance races, now do you think you’re ready to go the full distance? 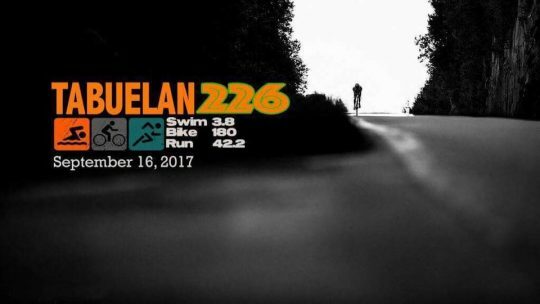 Then it’s time to train and save the date for Tabuelan 226, a full-distance race (3.8KM Swim, 180KM Bike, 42.2KM RUN) happening on September 16, 2017 at the Maravilla Beach Resort in Tabuelan.